Alice & J made the last minute decision to change their photographer just a few months before their October Worcester wedding. 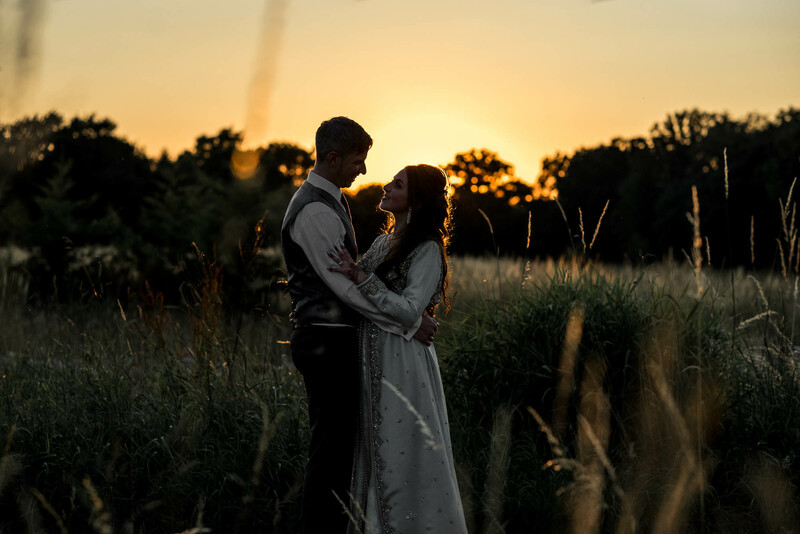 Alice found myself and got in touch to talk about how their Alice in Wonderland meets Marvel wedding would play out at the stunning Curradine Barns wedding venue in Worcester. We met for food one sunny day at the Trentham Estate where we discussed everything about their day. They booked just three months out from their wedding in the end. Theme’s in weddings can be a little intense at times and often over shadow you as a person and all the awesome things which make you you. Luckily Alice & J already knew this and just wanted to slightly hint at it in a very minimal but impactful way. From small decorations around the Curradine Barns to their stunning handmade shoe centre pieces, their Alice in Wonderland meets Marvel wedding theme was tasteful and looked awesome. Alice & J kept telling me about how they just wanted moments within their photographs and not rigid poses for the camera. I spoke to them about how I gently guide situations to become moments and nothing was quite as true to this than when I lead them out of their service and into the Curradine Barns courtyard. I had them walk a little further than normal outside to accommodate guests getting out then I just watched the emotion explode on each persons face. Everyone is dying to talk with you as soon as you get married so the least I can do is let them and then photograph it. With it being an early October wedding we had a lovely day with enough warmth to sit outside in the evening but then also have the sunset at a sensible time to bring a bit of ambience to the evening. Days like this are just the best as you can just pinch the couple away for two seconds at several points of the day to get a completely different look as the sun moves across the sky. It’s also not too hot and not too cold giving you the perfect weather to be wearing wedding gear. With a room full of just incredible guests it was a real shame to go in the end. I could have easily stayed and partied for a few hours more. Looking for a Worcester Wedding Photographer? I’m a relaxed and informal Stoke-on-Trent wedding photographer who often ventures further afield including Staffordshire, Derbyshire, Cheshire, Shropshire and the rest of the UK. I don’t charge for my travel or accommodation as I love the look of different landscapes in my photographs. If you are interested in having me photograph your wedding whether it’s in Worcester or elsewhere then CLICK HERE to drop me an email about your day. If you’d like to hear a little bit more about me, my life and my sausage dog you can click here to find my about page.